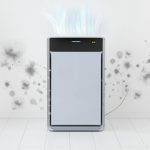 Austin Air Purifier Reviews: Are They the Best on the Market? If you are looking for an air purifier that is low maintenance and economical, then the Austin air purifier is the perfect device for you. These devices are reliable and would not leave you with anything to worry about in terms of durability and maintenance. Cleaning the collector plates on your air filtering system can be incredibly annoying, so why not find an air filter that eliminates the need to do all of these things? 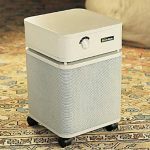 Our Austin air purifier reviews have the best scoop and information on anything relating to air purifiers on the market. Following our guide would ensure that you pick the best value for your money, and you get an air purifier that lasts you and your home for a number of years. These Austin air economy purifiers are the best on the market in terms of efficiency and cost effectiveness. They are well-built and very durable, ensuring that they can stand the test of time. Did you just welcome a new baby to the family and are you worried about the quality of air and dust particles that are flying around the house? If this is the case, then you certainly need an air filter. Air filters have the ability to purify the air in your immediate surrounding by utilizing technology to get rid of all the dust, dirt and other particles that are floating in the air which may be invisible for the human eye to see. 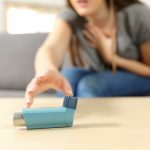 One unique feature about this particular air filter is that it has a four-stage air filtration process that would provide you with the complete range of air cleaning services that you would require for your home. 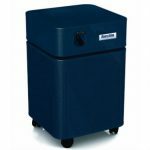 This can help to remove sub-micron particles and other forms of chemicals and noxious gases. 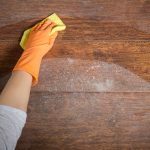 In the first stage of the cleaning, the large particle pre-filter engages the particles that you can see with your own eyes, this includes dust, dirt, hair and other little particles. It then moves on to the second stage, where the medium particle pre-filter starts to remove medium to small sized particles in the air like pollen or moulds. 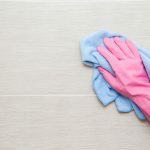 In the third stage of the air cleaning process, up to 15 pounds of activated carbon and zeolite would help to remove gases, odors and other chemicals that may be in the room. In the fourth and final stage, the certified HEPA air filter would remove 99.9 of all particles that are within your room. This product is very durable and would give you very little course for concern over the years. It is HEPA certified, meaning that you do not have to worry about quality. While it is not exactly the cheapest, it provides good value for money. Austin air purifiers have become a household name in America because of the incredible efficiency and durability that they bring to homes. The air you breathe in can affect your health, and if care is not taken, the health of the other members of your family as well. This is why it is very important to have an air purifier in the house that ensures that the air you and your family is breathing is the best possible air. 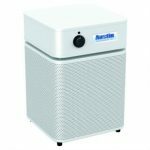 This particular brand of Austin air cleaners does not just appeal because of its sleek appearance, it also does a lot in terms of functionality. This air filter is perfect for people who experience one form of allergy or the other or even suffering from asthma. 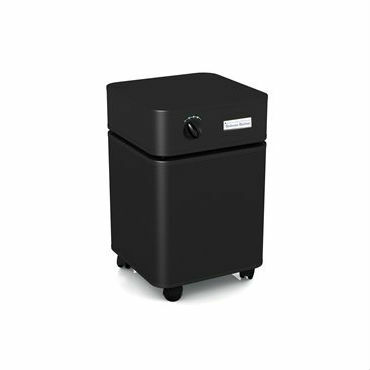 It has the ability to remove pollen, dust, cigarette smoke, chemical gases and other harmful substances from the air. This model also has a 360-degree air filtration system that is capable of drawing in air from all sides of the device and passing it through the trademark Austin air four-stage air filtration process. It would trap as much as 99.97% of the harmful substances in the air, and it requires very minimal effort in terms of cleaning and maintenance. This air purifier is HEPA certified, and it has an efficient PSC motor that you can use continuously for years without any form of noise. This air filter eliminates the operating costs in your home by as much as 50%. You can choose between three different filtration speeds with the easy to use knob control and it has smooth roll casters that come with the Healthmate. Each unit has also been tested independently, and it makes it easy for you to change your air filter. Air purifiers are considered to be very necessary if you have some form of allergy or breathing condition. Since there are a lot of particles in the air that we cannot see with our naked eyes, we need the help of these machines to ensure that the air we are breathing is clean and healthy. One of such machines is the Austin Air Allergy air purifier. This particular air purifier comes in 4 colors, which serves to improve the beauty and design of your home. It is available in black, midnight blue, sandstone, and white. Its coverage range is 1500 sqft, which can work for most room sizes. It can be used as a residential or office air purifier. This air purifier also comes with a 5-year warranty. It makes use of the standard HEPA and carbon filtering technologies with a 4 step air filtration process. It is constructed purely from steel materials and also has rolling casters. Its air intake is 360 degrees, and it comes with 3 different fan speeds. It is also noiseless and the device is made in the USA. If you are looking for an air purifier that would last for a number of years without having to repair or replace, then this air purifier is one of the best on the market. It weighs 45 lbs and its power rating is 120V & 135 Watts MAX. Its fans to circulate air function at 75 to 400 CFM (cubic feet per minute). Its noise level is as low as 70Db on even the highest speed level. The product dimensions are H 23″ x W 14.5″ x D 14.5″. If you have a pet at home, then the Austin Pet Machine Healthmate device is the best option for your home. This air filter would help you get rid of pet hairs and allergens that may be flying in the air. With this air machine, you don’t have to worry about seeing loose pet hairs lying around your living room or bedroom. It comes with the standard Austin 4 step air filtration process that would ensure the air in your room is purified. It also has an activated carbon cloth military grade HEGA filter. This is not just one of those devices that would give you high efficiency without providing much else. The Austin pet machine would also beautify any room that it is placed in. Made from steel materials, this air machine comes in a number of qualities that would enhance the look of your home. It is available in black, midnight blue, silver, sandstone, and white. The device also has a 360-degree air intake with an outflow from the top side vent of the device. It is also HEPA certified, and can comfortably purify the air in a room as large as 1500sqft. The device is small and portable, implying that you can easily move it around from room to room, depending on where you actually need it. It also comes with a warranty just in case you are worried about the air filter getting damaged within a short while after just purchasing it. Having an air purifier in your bedroom would give you one less thing to worry about if you have allergies, asthma or are simply particular about the air that you are breathing in. One air machine that you must have in your bedroom is the Austin HM402 air bedroom machine air purifier. This machine has the ability to purify air within spaces as large as 1500sqft. Even though this air purifier is slightly on the expensive side, it more than makes up for it in terms of durability and performance. It comes with three different fan speeds depending on the needs of the user. Also, it has the capacity to filter as much as 250 cubic feet of air per minute, and it does this through 15 lbs of activated carbon. It also has the capacity for 60 sqft of HEPA that is medical grade and HEGA carbon cloth. The device performs an all round comprehensive cleaning system, which includes the removal of sub-micron particles, chemicals and other forms of noxious gasses. It also has the ability to draw in air from 360 degrees, all around the device. This is also one of those devices that have the ability to improve the overall aesthetics of a room. It has a simple and easy to use turn knob, which can be used to select the fan speeds. It is available in black, white and sandstone colors which make it easy to add to the décor of whatever room it is placed inside. Austin air purifiers are known for their sleek design and efficiency. In terms of these two features, one air purifier that comes to mind is the Austin HM450. It has the ability to purify the air in rooms that are as large as 1500sq ft and also meets the standards of HEPA. The filter can last you for a period of 5 years before you would have to replace it. This is one of the best air purifiers you can get on the market if you want to avoid allergic reactions or you have a history of asthma. The air purifier can function up to 3 different fan speeds and is also noiseless. The fan functions on 400cfm on its highest setting. It is also available in black, but the sleek design of this air purifier would impress you. Made from steel materials, the air purifier also comes with wheels. This would allow you to easily roll it from one room to another if you do not have the energy to log it around. 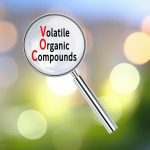 It has close to 15 lbs of solid activated carbon, also containing zeolite for gas removal and other odors. The device has the ability to trap up to 99.97% of the particles within the room, and anything larger than 0.3 microns would be captured by the device. Also, it comes with a warranty. It is also incredibly durable with stainless steel parts that prevent all forms of rust or corrosion. Our Austin air Healthmate reviews feature all the pros and cons of the device. One major benefit of the Austin Healthmate air purifiers is that they have HEPA filters which are simply the best at air filtration for all kinds of dirt, dust and other impurities that can be carried. 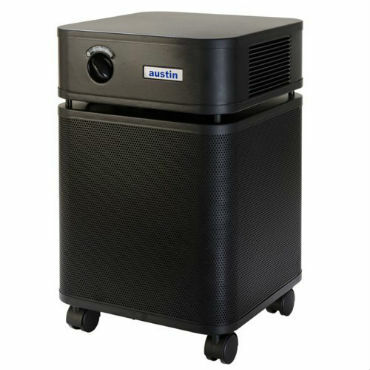 A regular sized Austin air purifier can use up to 15lbs of anthracite carbon and a blend of zeolite. They are also long lasting, and the filters can last for up to 5 years before you would have to replace the filter. Another benefit to note is that all the air purifiers come with a warranty. A lot is said about the quietness of the Austin air purifiers, but this isn’t the quietest air purifier on the market. It tends to be a little bit noisy on the high and medium speeds. The low speed is actually very quiet. Replacing the filters of this device is not the easiest task. It is not one of those things that you can just rush through in a couple minutes. You have to take your time to complete the task. The Austin Air Healthmate purifier gives you very good value for your money. They provide complete air purification services which are the best for all forms of dust and allergens. If you want a device that is easy to operate, then this device is the best for you. It makes use of a lot of smart technology but it is also very easy to operate. It is also HEPA certified and is very economical in terms of energy consumption. If your room is much smaller, there are also some air purifiers that can help you to purify the air. 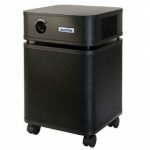 However, if you have a larger room, there are also some Austin air purifiers that can purify the air comfortably without any problem of size. There’s nothing better than our Austin air purifier reviews for complete information on all the best air purifiers offered by this brand.